Guess what I’m having for breakfast? 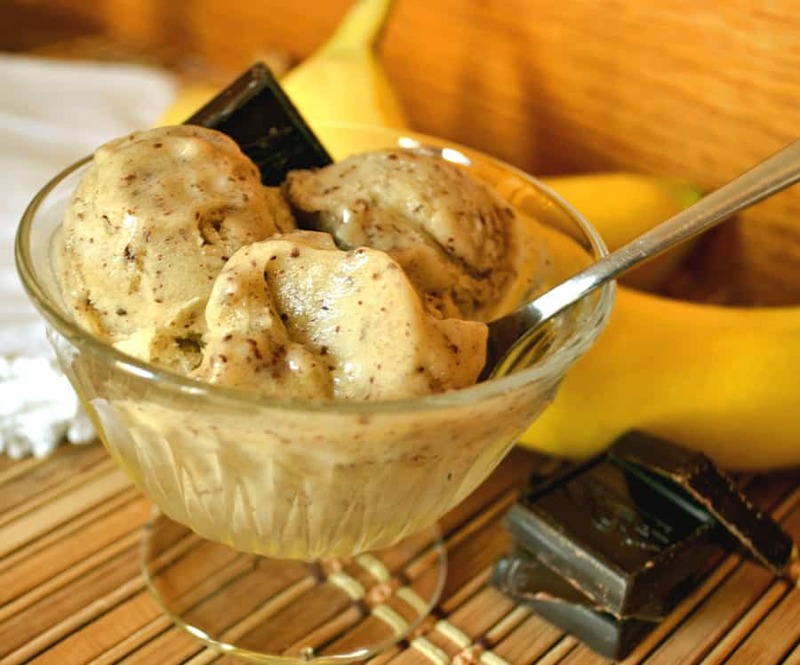 Leftover banana ice cream!!! This is an awesome way to start the day – I might just have to start rethinking my breakfast routine! So why I am I talking about it again? I’ll tell you why – because this stuff rocks! I’ve never had a healthier, creamier, sweeter dessert in my life. It’s a great way to use up ripe bananas sitting around and a great way to effortlessly load up on vitamin packed bananas. The best thing about it though, is that you’d never guess that it’s plain bananas. It’s also a perfectly sneaky way to get the kid to eat their fruit! There is no magic or trickery involved in this ice cream. Cut a few bananas, the more the merrier, into slices. One bunch of bananas makes 2-4 servings. Throw the slices in the freezer for a few hours, a few days, whatever – they need to be frozen. I freeze them in a covered pyrex storage dish. (If you’re gonna be using the bananas right away, you can freeze them on cookie sheets.) When ready to use, chisel the solid chunk of frozen banana slices into a few pieces and throw it all in your food processor. Pulse a few times to separate all the clumps and process until creamy, stopping a few times to scrape sides down with a spatula. That’s it. You can eat it right away – it’s super creamy and custard like. Or you can throw it in the freezer and let it harden up a bit. I usually make this ahead of time, freeze it and let it sit at room temp for about 20 minutes before serving. Oh – I should mention the “Dipping Dots stage”. After the second round of processing and scraping, the ice cream almost has the taste/feel of Dipping Dots. Athena, my 8 year old discovered this recently and it’s of major excitement to her. Let your kiddos have a taste and see what they think! 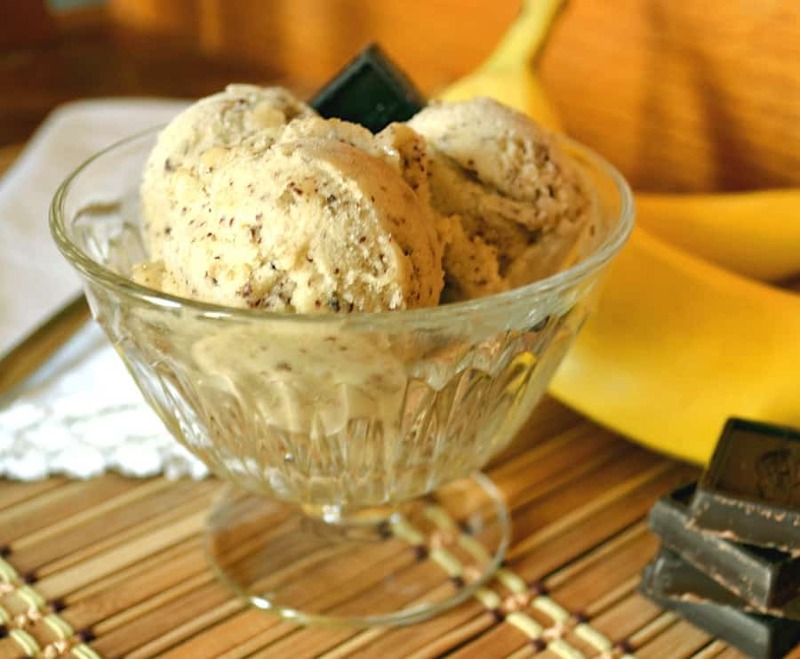 So go ahead and get your ice cream making on. The flavor combinations here are endless. This time I threw some dark chocolate in – soooo good! I’ve also made this with nuts, cherries, strawberries, cocoa powder…there are so many possibilities – get creative! 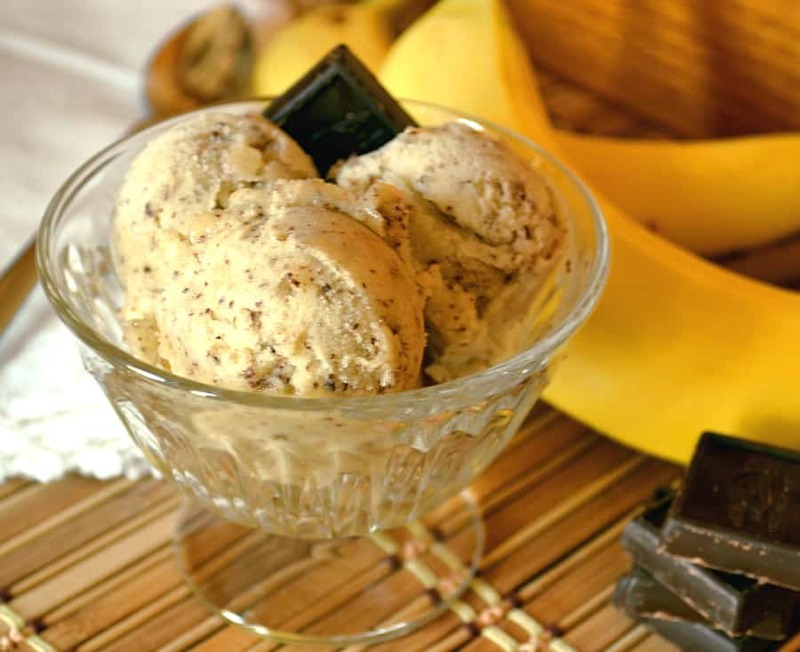 A healthy and easy way to make ice cream with just bananas. A creamy, delicious vitamin packed frozen dessert with limitless add in options. 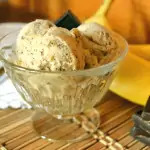 Freeze bananas for at least a few hours. If you're using them right away, you can freeze on a cookie sheet. If not, freeze in a covered freezer safe container. When ready to use, chisel the solid chunk of frozen banana slices into a few pieces (if necessary) and throw it all in your food processor. Pulse a few times to separate all the clumps and process until creamy, stopping a few times to scrape sides down with a spatula. You can eat it right away - it will be very creamy and custard like. Or you can throw it in the freezer and let it harden up a bit. I usually make this ahead of time, freeze it and let it sit at room temp for about 20 minutes before serving. Yes! It’s so easy, so good for you and the flavor possibilities are endless…I love adding dark chocolate. Thanks so much for having me as a contributor in this months magazine!